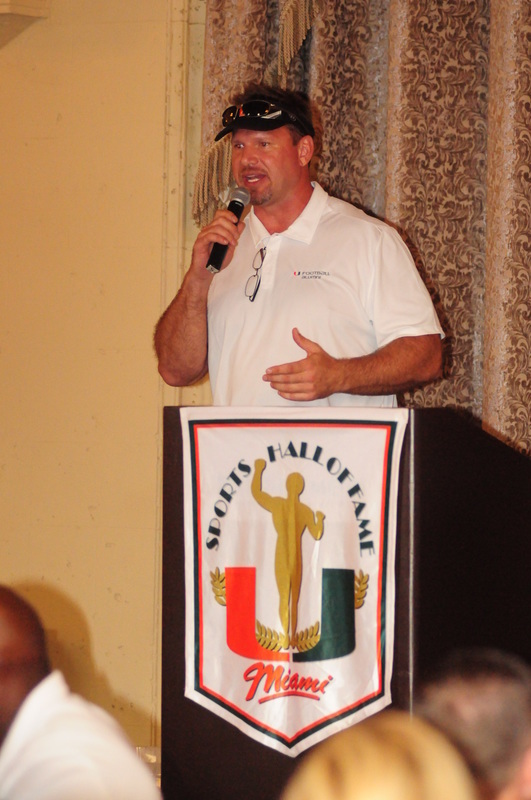 Greg Mark, a 1989 All American defensive end, was tapped to serve as the celebrity host for the 24th Annual UM Sports Hall of Fame Celebrity Golf Tournament to benefit the Hurricane Club. The event was held on Wednesday, October 26th, 2016 at the luxurious Biltmore Hotel and Golf Course in Coral Gables. Greg Mark was a two-time football National Champion (1987, 1989) and a 1989 All American (Associated Press, Kodak) at defensive end. He also coached the defensive line at Miami for 13 seasons under coaches Butch Davis and Larry Coker, including the 2001 National Championship year. He currently is the owner and operator of Casa dei Bambini Montessori School on Miami Beach. 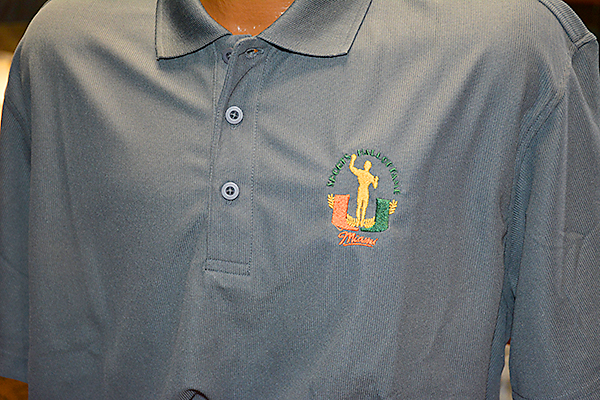 Please click below to purchase UM Sports Hall of Fame Golf Polo Shirts (pictured above). To be a Sponsor for the 2017 UMSHoF Celebrity Golf Tournament, call 305-284-2775 !